For such a storied esport organisation, Na’Vi is treated as underachievers in two of the world’s biggest esports for very similar reasons. Perhaps they’re simply a victim of their own success: after all, how could you criticise an org with over seven million dollars in combined winnings across CS:GO and DOTA 2? As usual, the devil’s in the details – having the world’s best player on your roster in the former and being one of the most consistent early TI performers in the latter should have given them quite a leg up on the competition, something which simply hasn’t materialised. For an org whose name literally means “born to win” in Latin, not much winning is associated with them as of late in the two premiere esports they compete in. In fact, their stories in DOTA 2 and CS:GO revolve around chasing past glories and never quite getting to the top, respectively. It might seem a bit odd to raise this subject shortly off the back of the Counter-Strike squad’s impressive win at StarSeries i-League Season 7, but the fact that their victory is treated as a big accomplishment is a sign of managed expectations by itself: neither of the top two teams in the world were present at Shanghai, meaning they were already the heavy favourites to begin with. When the remaining top-five sides are in disarray and your closest competition happens to be two plucky upstart sides – both of which you eventually dispatch in the playoffs – what are we talking about? Then there’s the whole Oleksandr “s1mple” Kostyliev conundrum to unpack: monster numbers on a historic scale delivered on a conveyor belt, and yet this is only their seventh tournament win since his signing in 2016. (For reference, he’s picked up nine tournament MVP awards in the intervening period.) Meanwhile, the serial under-performers that form the old guard but still have great marketing value are celebrated for their occasional good showing, at which point they truly do threaten the best teams in the world. Unfortunately, those moments are few and far between. There’s no reason for such qualified praise when it comes to their DOTA 2 side: while they were clearly one of the best at the beginning of the TI era, winning the inaugural event and making it to three consecutive finals, winning twenty top-tier events in the meantime. 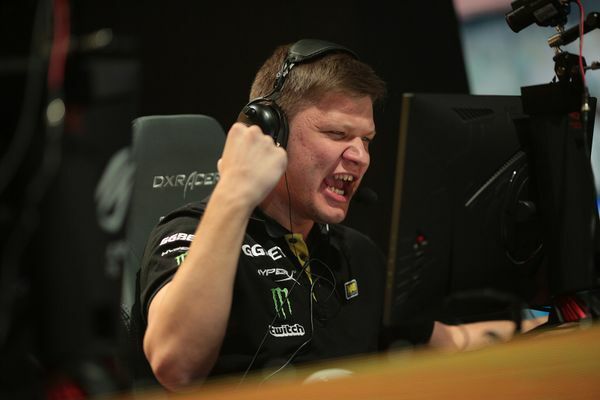 Since then, multiple implosions and a stubbornly clinging to every vestige of those better times are the defining features of Na’Vi’s DOTA 2 experience, with little to indicate that they’ll return to the very top anytime soon. Do they even want to? This is perhaps the most pertinent question about the organization: by hook or by crook, they’ve ended up with an incredibly potent brand name just as the world of esports began its rapid growth, and it’s difficult to shake the feeling that they’re happy enough with the slow and steady monetization of it all. From a sporting perspective, they certainly made some odd decisions: they were behind a recent high-profile transfer-related faux pas in CS:GO when they opted against selling s1mple and flamie to MiBR despite the fact that the organization has met their valuation. That’s… just not something you do. Something feels quite corporate, carefully manufactured about Natus Vincere, a setup which reeks of the smell of plastic. As much of a brave new world we inhabit, esports still derives a lot of its e-less brethren, its pursuit of excellence and the number one spot: there’s nothing worse from a fan’s perspective than settling for a decent market cap, content with decent finishes and a steady stream of merchandise-related income from formerly great players. Just ask Arsenal supporters about their decade-long pursuit of the coveted fourth-place trophy.